All-Flo Plumbing has been serving the greater Grand Rapids area for over 25 years. Don and Chris Venema have had a long, successful history in the industry. They took over his father’s plumbing, drain cleaning, well pump installation, and septic system services in the Flint, Michigan area and later in the Lansing, Michigan area. They eventually owned a plumbing company franchise in Florida where those same services were provided for many years. Don, Chris, and their children moved back to Michigan to be closer to their extended family. They decided to establish their roots in Grand Rapids where they and their sons have worked diligently to make All-Flo Plumbing become a leading name in the industry for its ability to solve the most complex plumbing and drain problems. Got a drain problem. FInd a solution today. Premiere jetting services for residential and commercial applications. See how we might help your business with our residential services. Let us put your home back in order with our residential services. When you’re facing an emergency, you want a fast, professional plumber and nobody gets there faster or does it better than All-Flo Plumbing! 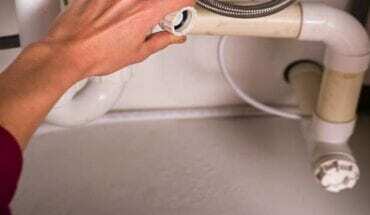 All-Flo plumbers are licensed and insured. Our employees follow applicable plumbing codes and our technicians arrive on time in a safe manner. Our 5 star Google rating and local reputation speak to the integrity we display to all of our clients. We’re transparent with our business and conscientiousness of our customers’ needs. We’re available around the clock for you! A pipe busted or a backup, then call us any time of the day and we will assist your plumbing needs. We have been in the Grand Rapids area for more than 25 years and are a leading provider in the industry. 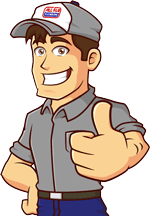 At All-Flo Plumbing our extensive background of experience allows us to solve complex problems in both commercial and residential plumbing applications. Drip. Drip. Drip. We’ve all heard it, and generally, try to ignore it. But have you ever thought of how much water is literally going to waste and how much that could be costing you? Drain back-ups happen. It’s never ideal. But we live in a fallen world, and that’s the reality of it. First, confirm that all water usage stops, to try and avoid any further damage.